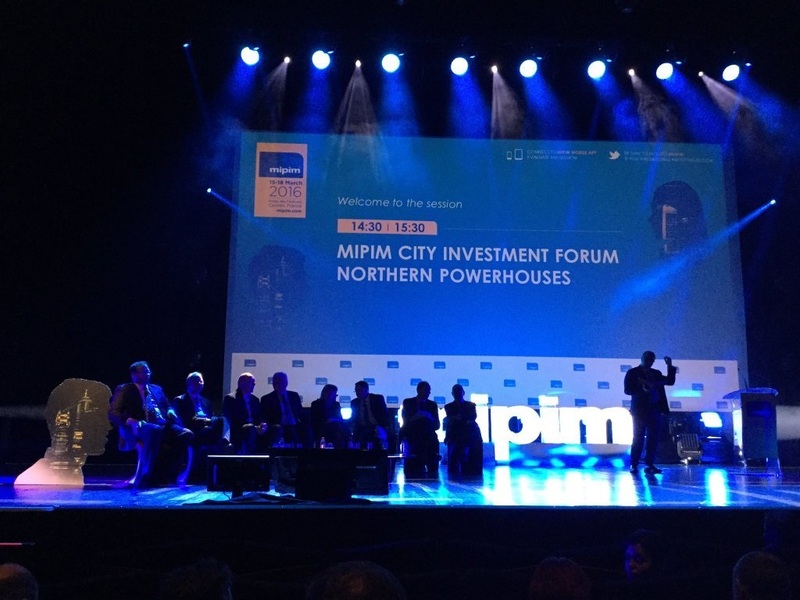 Mr Rawstron was speaking at a session at this year's global property conference in Cannes, entitled 'MIPIM City Investment Forum, Northern Powerhouses'. Manchester council chief executive Sir Howard Bernstein and Liverpool council chief executive Ged Fitzgerald were also on the panel, along with leaders from Leeds, Sheffield and Newcastle. Mr Rawstron, speaking in front of an international audience at the Grand Auditorium in the Palais des Festivals, said: "In terms of end investment transactional evidence, the Northern powerhouse area has transacted around £6 billion over the past 20 months through investment activity. "It shows that there is already a market which is appealing to international capital." He also said that each city and region in the Northern Powerhouse area has 'something special to offer'. "I personally would be hugely disappointed if that £6bn of investment activity couldn't be doubled within a very short period of time, as economic activity feeds through," he added. Discussing implications of the Northern Powerhouse on real estate, he said many opportunities will continue to come for those working in the sector. Mr Rawstron also said Bilfinger GVA will release its own Northern Powerhouse focused research soon. "I'm hugely positive about the Northern Powerhouse," he said. "It's a hugely interesting time across all sectors." Global Cities Advisor Greg Clarke had introduced the debate earlier and chaired the panel, which included PwC Chairman Iwan Griffiths. Sir Howard Bernstein, the keynote speaker, said: "We've all worked hard over the past 20 months to support the Chancellor's vision. "But we need more investment if we are going to succeed. "The Northern Powerhouse strategy needs to be increasingly embedded in national policy so that it becomes a permanent and important component of multiple departmental policies in the future." He added: "The regions could add £47bn of GVA to the north's economy by 2040, over and above what might have happened anyway. "But it won't happen by standing still. We need to make the case for continued investment." Liverpool city council chief executive Ged Fitzgerald talked about the importance of east to west connectivity, particularly along the M62 corridor. He also discussed Superport, an integrated cluster of logistics assets and expertise that will deliver faster, greener global market access for business to and from the northern UK and Ireland via an enlarged deep water container terminal. He said: "Superport is on site and the first ship will come in later this month. The port used to handle around 5 per cent of the world's shipping units. Soon it will be able to handle 95 per cent of the world's shipping units."